France is leading a push to demand the European Union issue a hardline declaration on the bloc’s interpretation of Theresa May’s proposed withdrawal agreement, covering issues including fishing. 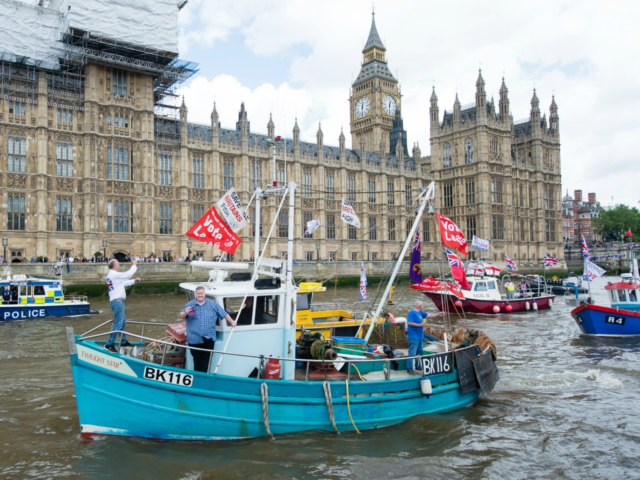 France, Spain, Belgium, Denmark, and Portugal are reportedly among member states dissatisfied with the withdrawal agreement’s promises on fishing rights, and the potential for their continued access to the UK’s waters. According to The Times, France is demanding the EU releases a statement, known as a side declaration, which is frequently used by the bloc during negotiations to lay out their interpretation of any deal. However, the bloc’s chief Brexit negotiator, Michael Barnier, is reportedly worried such a statement will make the proposals even less likely to pass through the UK parliament. Mr Barnier is keen for the proposals – widely seen as a victory for the EU over the UK – to succeed and is reported to be resisting issuing the statement. France is seeking guarantees that the UK will have to align with the bloc’s regulations after Brexit, minimising competition and giving them access to British fishing waters in return for zero-tariff trade on goods. French Europe minister Nathalie Loiseau said they “will be very vigilant” on what Mr Barnier and the European Commission offer Britain in talks before a final EU summit on Brexit this weekend. “We will be very attentive to the political declaration on the future relationship, again on the issues of fair competition and on the access of fishermen to British waters,” she added. Spain, meanwhile, has also threatened to frustrate Mrs May’s proposals, insisting that any deal covering the British territory of Gibraltar must be approved by Spain. Meanwhile, the Tory Scottish Secretary David Mundell is demanding May make no more concessions on fishing, indicating he could resign if the UK remains tied to the bloc’s fishing policies and quotas until 2022.